Where’d the summer go? 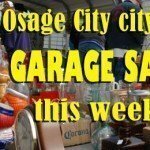 The Osage City Chamber is reminding everyone to begin planning for citywide garage sales, which will be the last weekend of summer, September 18-19, 2015. The Chamber publishes a map of sales as a fundraiser for the group’s scholarship fund. A $5 donation is requested for listing a name and address on the map, with a deadline of 8 a.m. Sept. 14 for a listing. 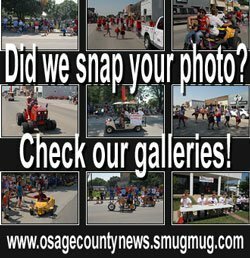 Funds are used for scholarships for graduating Osage City High School seniors. To have a sale listed on the sale map, contact Jodi Smith, map coordinator, at 785-528-5095, or Casey’s General Store in Osage City. 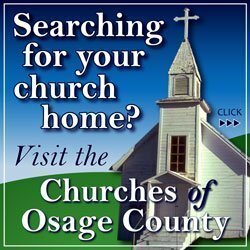 In addition to listing sales on the Chamber map, garage salers are invited to place free sale ads on Osage County News. As always, there is no charge for place-your-own ads on the County Comment page. Click here to place your free ad.